Is a FrACTIONAL CMO RIGHT FOR YOU? Looking for someone to handle any and all marketing needs for your company? Unable to hire a full-time + benefits CMO? Consider our Fractional CMO retainer; we provide complete CMO representation for your company on a part-time basis. Retainers start at ~$1800/month and scale as your business grows. "It's too early to focus on marketing." Says who? While your development team is focused on rapid iteration and getting the product ready for primetime, let The Three Sheep prepare your market analysis, including customer profiling, target audience research, and branding strategy. Your new venture won't take off unless you have customers. The Three Sheep will help you understand who they are, where they spend their time, and how they behave so you can create the best possible product for them and keep them happy. Do you speak "user"? How does your website content and other writing come across to your potential customers? For startups, capturing and retaining early adopters is critical to ensuring that your new thing becomes the next big thing. Compelling content keeps your audience engaged with your products. When used properly, blog posts, case studies, videos, and other promotional materials inspire and educate your users, making them feel involved and in-the-know. Looking for partners? Interested in meeting investors? Need someone on the ground when you can't be there? The Three Sheep has a flock of connections. When you use The Three Sheep for marketing & strategy services, you'll be mentioned in the best possible light in every networking opportunity. 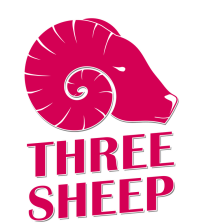 The Three Sheep can be your company's exclusive concierge at events and conferences. Relevant connections will always be made through a direct introduction, so you can cut through the mailing lists and message boards. It can be stressful to apply to an incubator, accelerator or other business assistance program. If you're looking for investment from an individual or an institution, consider booking a practice interview session. Three Sheep asks the right questions and helps you craft the best answers. You'll hear constructive feedback and suggestions for improvement in timing, flow, language, and poise. Feel more confident in your pitch and presentation.